Rise together – Divest, no new pipelines, clean energy now. All week we’ve been glued to the news – not the news from Helsinki (well, ok, that too) but the news from Louisiana where our friends fighting the Bayou Bridge Pipeline are entering a critical phase of the campaign. In case you need a refresher, the Bayou Bridge Pipeline (BBP) is the tail end of the black snake we call Dakota Access Pipeline (DAPL). 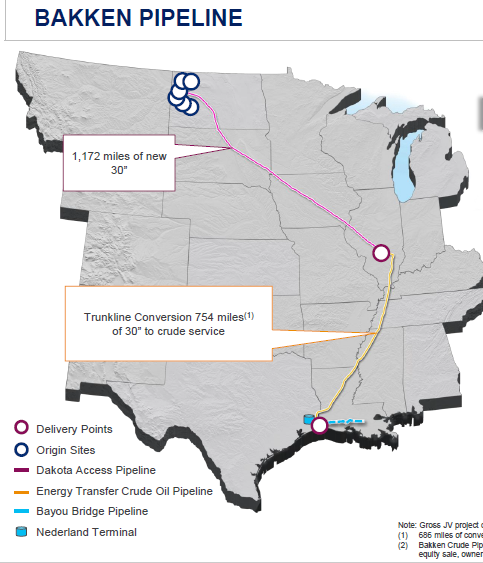 If completed, BBP is the final link that connects dirty oil from the American tar sands in North Dakota to refineries and export terminals in Louisiana. Energy Transfer Partners (ETP), the same company that siced dogs on water protectors at Standing Rock, has been ignoring court orders and human rights in a frantic rush to complete the pipeline. But our friends at the L’eau Est la Vie Camp have stood strong. For months they’ve continuously interrupted, delayed and stopped work. But last week, a judge overruled an earlier decision, and basically gave ETP a green light to finish construction by this fall. This is especially dangerous for the residents of a town called St. James right in the heart of cancer alley and adjacent to the terminal where the BBP ends — and a town which still has no evacuation plan, meaning that when (not if) there is a serious accident or explosion on the BBP, or any of the other dozens of petrochemical plants nearby, they have no way out. Donate to support the resistance. 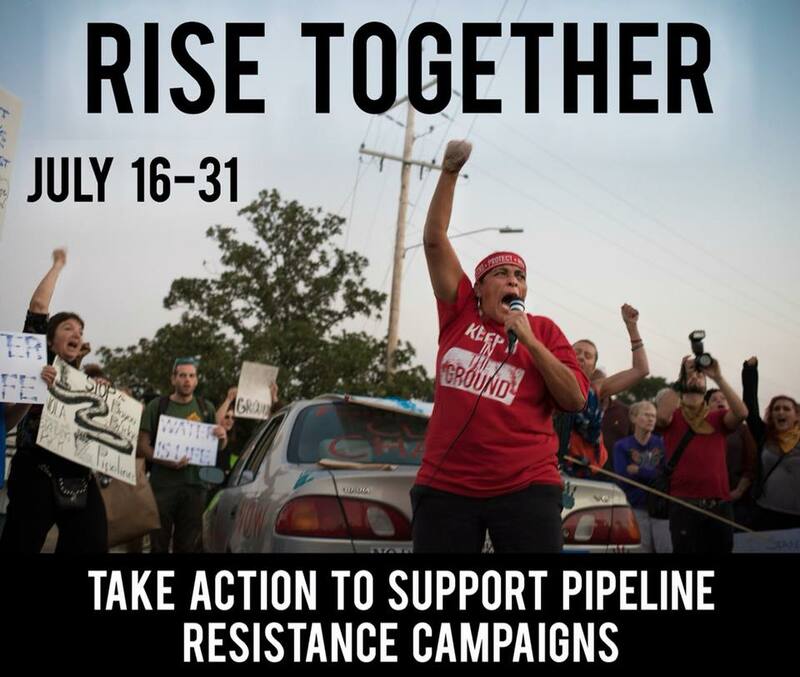 From now until the 31st, frontline resistance campaigns across North America are taking action to stop pipelines and extreme energy projects in solidarity with the fight in Louisiana. 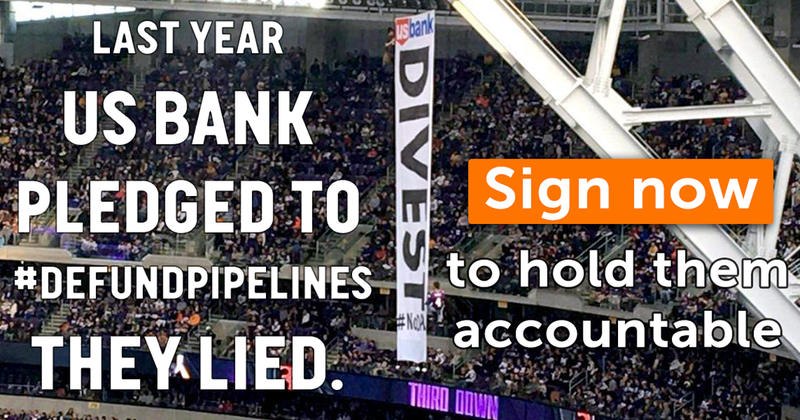 We’re encouraged to take action targeting the banks funding these pipeline projects, or by joining the frontlines and taking action directly with us. Across Turtle Island, Indigenous people and frontline communities are leading the fight to stop oil and fracked-gas pipelines. These pipelines and all fossil fuel extraction endangers the communities they pass through, contaminate the air and water, contribute to global climate change and continue the colonization of native lands. Water protectors in the Bayou are holding strong. In the last week they’ve deployed a new line of tree sits to slow or stop construction, and they’ve chased Louisiana’s governor all over the state, demanding he meet with residents of St James and other impacted communities. In exchange for their bravery and resolve, they’ve been beaten, arrested, and harassed by police and ETP’s private mercenaries. The L’eau Est La Vie camp, and front line resistors all over North America, need our support if they’re going to continue the fight. They’re calling on all of us to #RiseTogether in the next two weeks. Can you help? Construction has begun on the Bayou Bridge pipeline (BBP). This is the pipeline at connects at the very end of the Dakota Access Pipeline (DAPL) to bring fracked-oil from North Dakota to export terminals near St. James, Louisiana. Along the route, the BBP crosses over 700 bodies of water, threatening our water and the local economy. It also lights the fuse on a massive carbon bomb in the Bakken oil formation — America’s Tar Sands — by connecting the dirtiest oil in America to international export market fueled by corporate greed. Local organizers have been preparing for this moment for months creating the L’eau Est la Vie camp in the path of the proposed pipeline, writing letters, calling elected officials, attending hearings and suing the company to stop this atrocity.5 Now, those on the frontlines of the #NoBBP fight are calling for aid, and we need to respond. 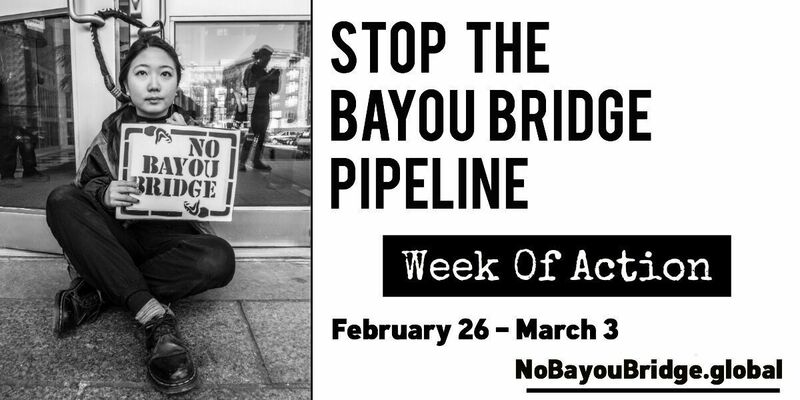 From February 26 – March 4, You are invited to take action along with communities across the globe in solidarity with those fighting the Bayou Bridge on the frontlines. Energy Transfer Partners, the company behind Bayou Bridge and also behind DAPL, must be held accountable. 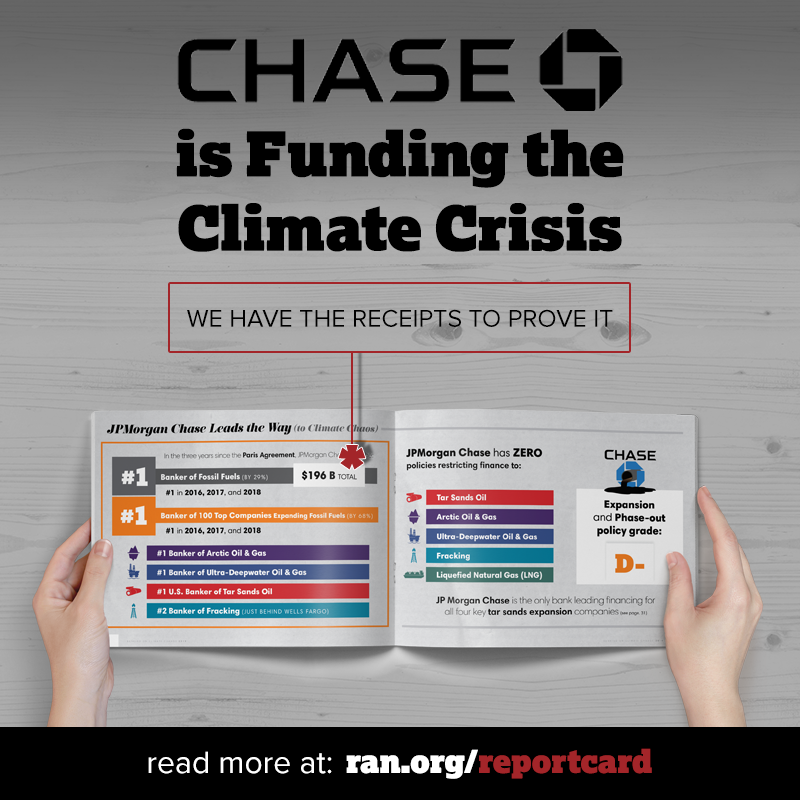 Click here to learn more and sign up to host an action​. TONIGHT! February 15 at 5:30 PT / 8:30 ET you’re also invited to join a conference call to hear from organizers and residents who are resisting the Bayou Bridge Pipeline on the frontlines. Click here to RSVP and get the call in number so you can hear updates from the ground and learn more about how to plan an action that supports the frontlines. 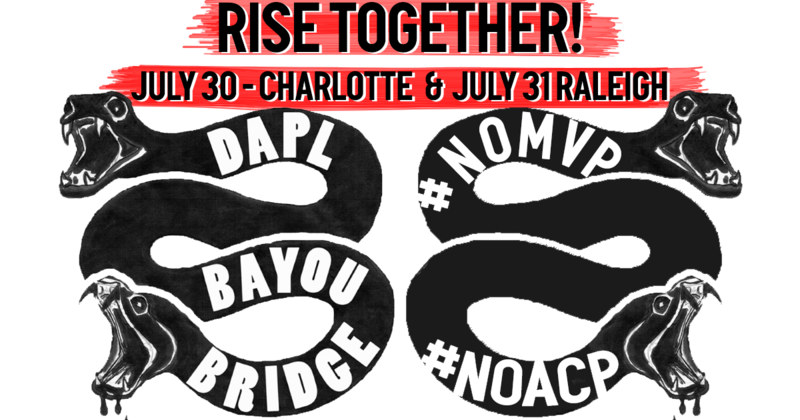 If you can’t make it tonight, I suggest checking in with nobayoubridge.global to learn more about the financiers and politicians targeted during the week of action​. 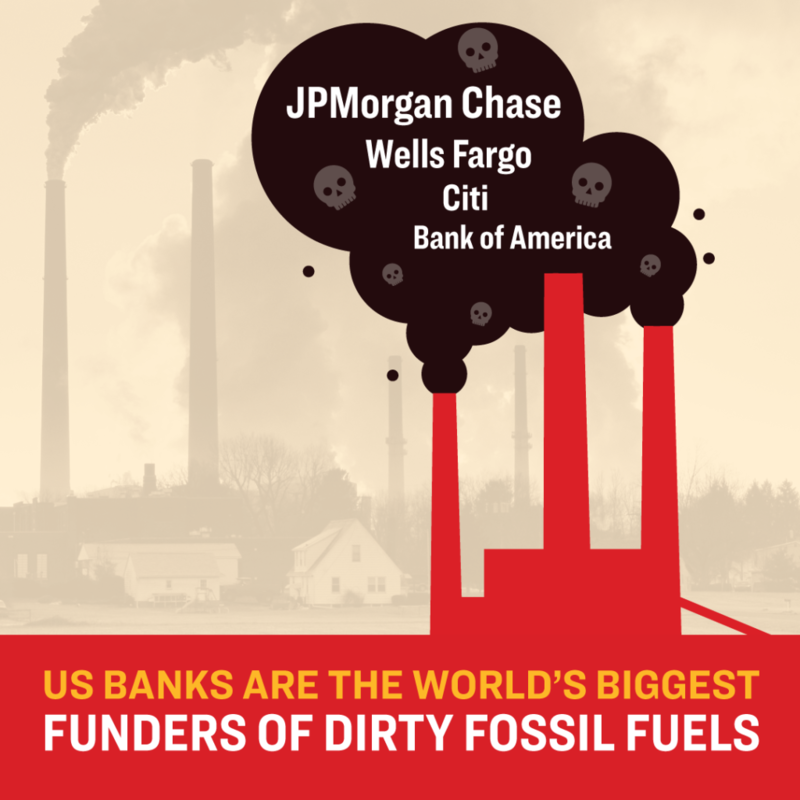 Lots of you have already signed on to petitions and letter asking these banks to divest. And many of you have attended big days of action targeting these banks (US Bank, Wells Fargo, and others) over the last few months. Even if you can’t plan or attend an event you can close a bank account, hold a rally or just withhold your business and consent from any of these institutions to show solidarity. But the best thing to do ​right now​ is put up an event on that map – we’ll follow up with more information, sample fliers and more. And of course we’ll send multiple ​emails (along with all the other solidarity partners) to make sure that you get a crowd to back you up. But until someone, like you, steps up to host an event at a local bank branch or similar location, we can’t invite all your neighbors to show solidarity with this important week of action. So click here to get started hosting your own #NoBBP action between Feb 26 and March 5. 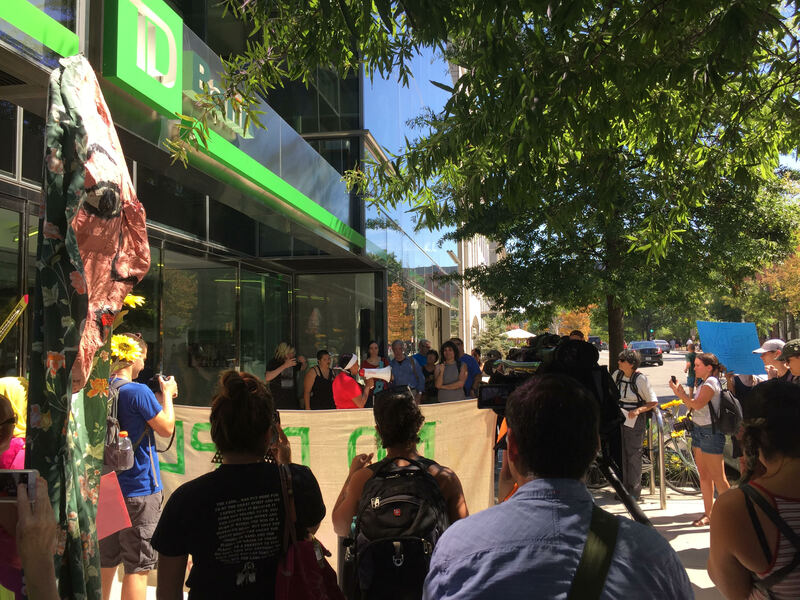 Seattle activists visited or shut down over 100 branches of the big banks in 3 days of action. 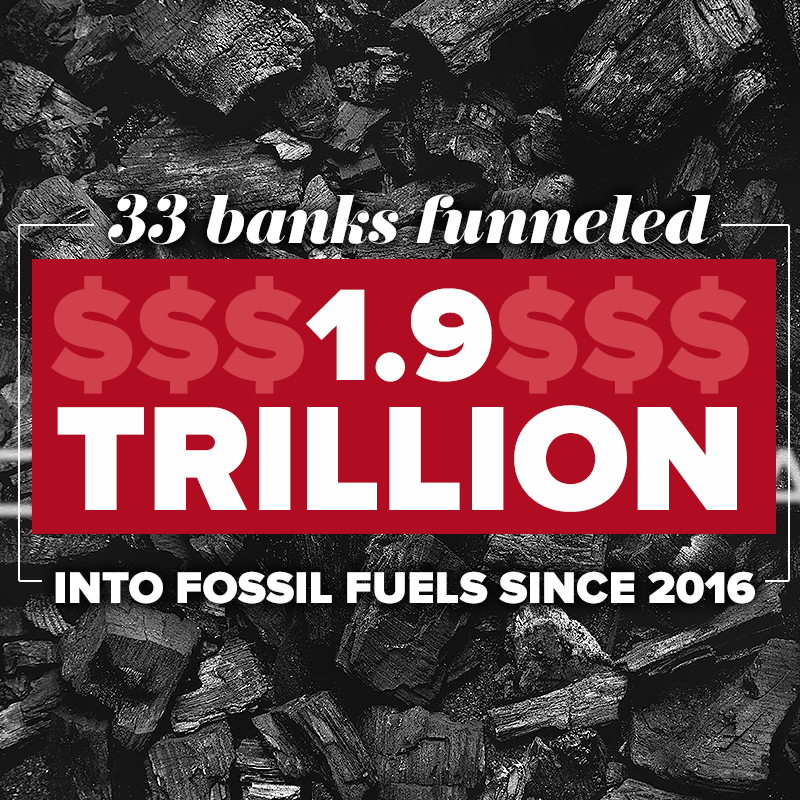 Nearly 100 faith and ethics groups joined the call to action, demanding that Bank of America, TD Bank, JP Morgan Chase, Wells Fargo and other big banks stop funding fossil fuel projects. There were amazing, beautiful actions in cities all over the world including Columbia, South Carolina; Lausanne, Switzerland; New Haven, CT; Oakland, California; and many many more. 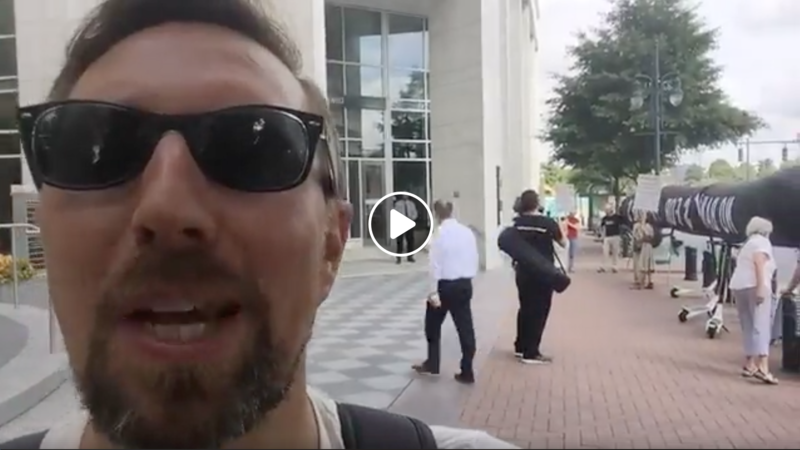 Check out the feed below from Mazaska Talks which was made live on the first day of action. Even, better (and worth waiting for) — I’ve got breaking news to share from the actual Equator Banks meeting itself in Brazil. 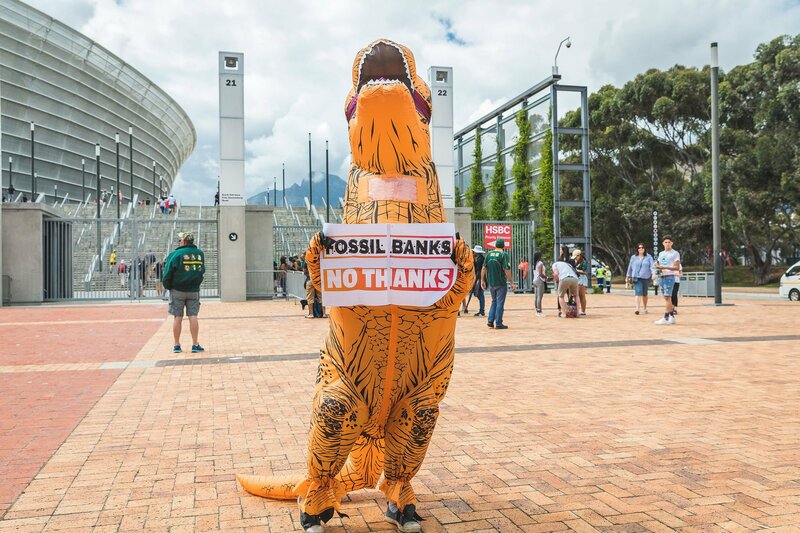 Just to re-cap: 90 of the world’s largest banks met in Brazil October 23-26 to recommit to the Equator Principles, a set of rules guiding which big infrastructure projects they will and won’t finance. 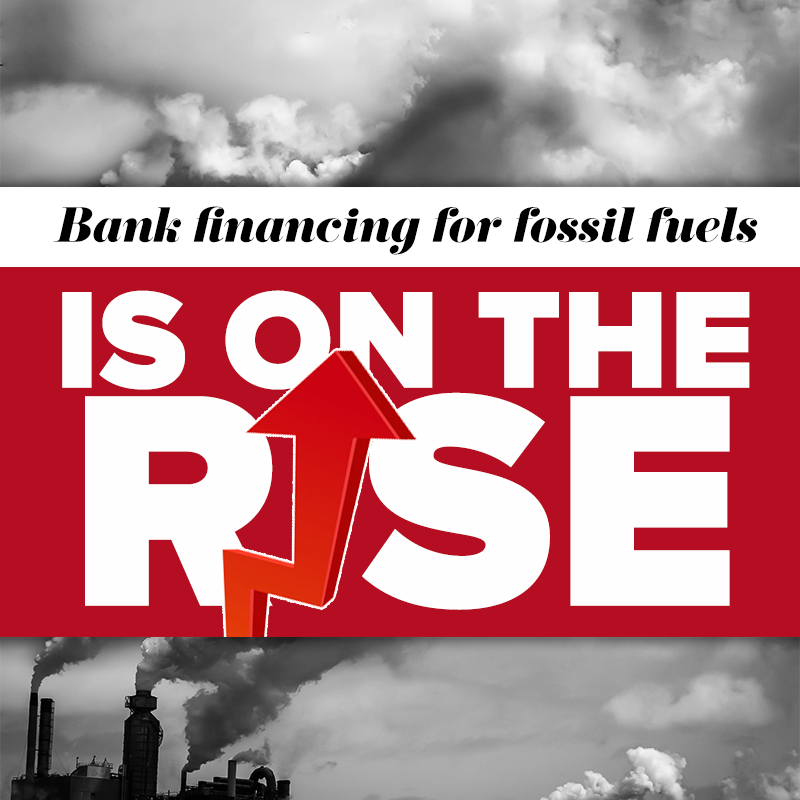 Our petitions and actions were intended to pressure these “Equator Banks” or EQIFs banks to rewrite and revisit their own (voluntary) commitment to those principles: Specifically the fact that Equator Banks had financed disasters for our climate AND indigenous rights like the Dakota Access Pipeline (DAPL) and Agua Zarca hydro project, where Indigenous leader Berta Cáceres was murdered for leading Indigenous resistance. Well, just today we got word that it worked! The Equator Banks released a statement saying that they will “start a process of updating the Equator Principles” with a special focus on the “important implications of the Paris Agreement” and “application of Free, Prior and Informed Consent (FPIC) in different jurisdictions”. Let’s be clear, this is EXACTLY what we asked for from these 90+ Equator Banks. And it is 100% a result of the pressure and publicity YOU helped put on them with your signatures, actions, events and more. It’s also not, obviously, the end of the story. The Equator Banks process is planned to take more than 18 months, and hasn’t officially started yet. And we’ve already seen that even when banks promise to do the right thing, they often exempt current project, make caveats or otherwise backslide almost immediately. Your continued diligence and follow up will be absolutely essential – and we promise to help by staying connected to Mazaska Talks and other indigenous, direct action, and pipeline fighting groups around the world. We’ll let you know the next time there’s an action, petition or event you can participate in on this campaign. IN the meanwhile, what now? Well, if you like winning, and enjoyed this whole arc of emails from me and 198 methods (I’m the only person who works here) – then consider leaving us a tip. I love it when people chip in $1.98/week because it gives us the money to keep working week in and week out on projects like divest the globe, while paying a minimum (less than $1 a month) in credit card processing fees (for everything else, there’s Mastercard). 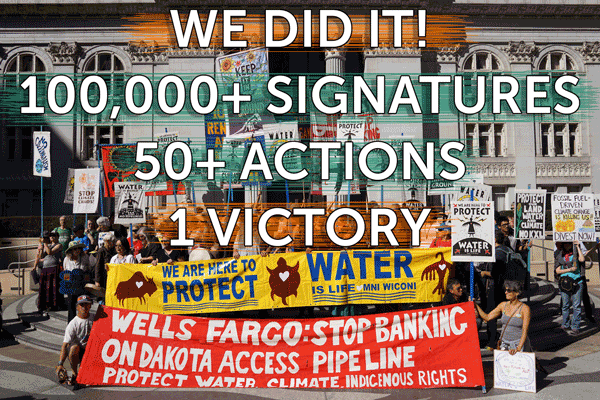 I’d also point out that this action is exactly the sort of thing I started 198 methods to do: A big, digitally supported day(s) of action with over 100,000 people signed on, dozens of actions around the world, and a clear result (#winning) at the end. I’m psyched, let’s do this again, soon. 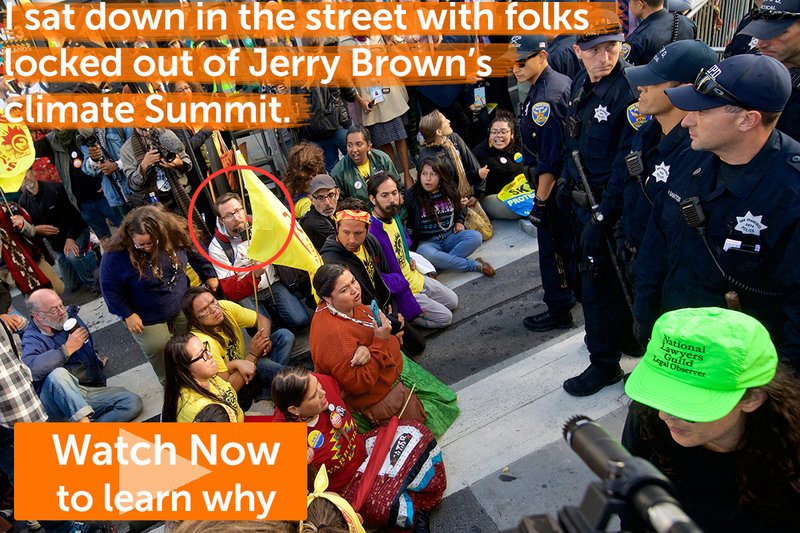 Drew and the 198 ways to take direct action and divestment is one, crew.